If your preferred method of hair extension application is I-Tip hair, you will find a great range of pre-bonded I-Tip hair extensions offered here on American Dream Extensions website. I-Tip extensions come in packs of 10 or 50 strands. 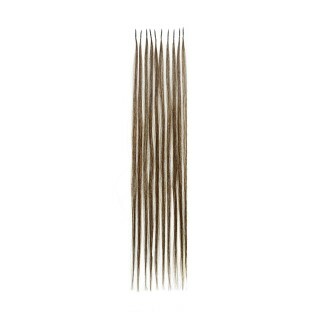 We recommend 100-200 strands for a full head of hair extensions. Choose from over 20 hair colours & different lengths. Original grade hair extensions are made with 100% fine Indian human. Ultimate grade I-Tip hair extensions are made using 100% Remy hair, so should last for up to a year, depending on wear & care.